How do you handle distractions and interruptions? According to one report “distraction costs billions of dollars a year in lost productivity.” Our lives are “being taken over by email texting, Facebook, Twitter, the Web, and other annoying electronic static.” One respectable research study found that “heavy online users….had less control over their attention and were much less able to distinguish important information from trivia…They’re suckers for irrelevancy. Everything distracts them.” And for increasing numbers of us, this cognitive overload gets worse the more we give in to it. These sobering assessments begin a fascinating article in Inc. Magazine (May, 2014). Does this sound familiar? I once had a bell sound on my computer whenever I got a message, including spam. Eventually I could not ignore that bell and felt compelled to check every time I got a message. This week I’ve been looking for a new cell phone, meeting sales people who gleefully explain how I should be getting up-to-date email wherever I go, 24-7. 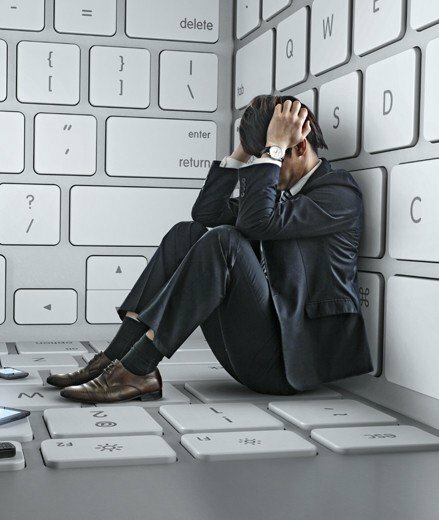 In the midst of useful technological advances, we are letting distractions, lack of focus and interruptions become “insidious productivity sapping maladies” that zap our energy and gobble up our time. Agreeing with this assessment is easy. It’s much harder to do something to control it. Probably you have read articles on controlling cognitive overload.In his recent book Focus: The Hidden Driver of Excellence, Daniel Goleman argues that “we must learn to sharpen focus if we are to survive in a complex world.” He suggests using mindfulness exercises (sometimes called attention training) and the development of new habits and skills to help us ignore and control the interruptions. In time we can train our brains to focus, to concentrate, and learn to bring back attention on demand. There also is value in blocking the disruptions by, for example, turning off those cell phone bells and vibrators that pull us away whenever new messages arrive. Try setting specific times to check messages. Then keep within those limits. Pull away from technology on a regular basis. 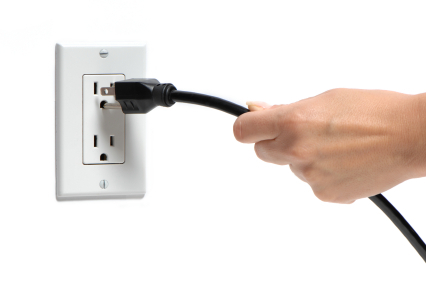 Without this, cognitive overload controls us and innovation sinks. How have you dealt with interruptions and cognitive overload? Please comment. OK! The title of this post may be misleading. 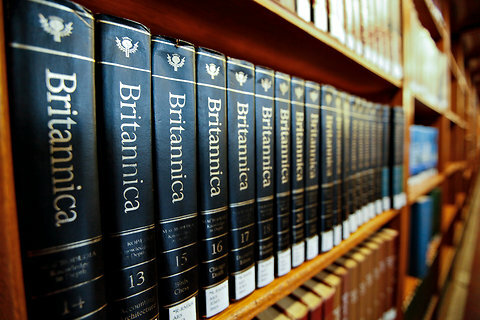 The 244-year-old Encyclopaedia Britannica (EB) is not dead. In contrast it is viable and growing despite the publisher’s recent decision to kill production of the bound volumes. In 1990 a 2000 person door-to-door sales force sold 100,000 units but then sales began to fall. Decreasing numbers of potential buyers wanted a costly 32-volume book series that weighed 129 pounds filled with information that was losing up-to-date relevance every day. So EB reinvented itself in ways that are generating more profits and involving more on-line subscribers whose databank of information is updated every 20 minutes. With the appearance of competing sources of up-to-date information available free, on line, EB could die or make radical change. EB determined to make changes. The company determined to stay with their core purpose of providing content of impeccable editorial quality and accuracy. EB remained committed to their mission. While the mission and brand recognition remained firm, the methods of delivering content changed radically. Door-to-door salespeople were gone, replaced by (currently 500,000) digital subscribers who pay for proven-quality content, updated continually with input from communities and proven experts. EB changed the way their services are delivered. They learned from other information providers (like Wikipedia) who reach readers content with “good-enough” information that may be of unproven validity. EB focused on their strength of providing quality. The company stopped thinking of themselves as encyclopedia producers and developed “a full-fledged learning business.” EB clarified their core business. Look at the above conclusions in italics. How might any of this apply to your work and business? Please comment. Newsletter #489 – Does the Internet Make Us Crazy? What is the Internet doing to our relationships, mental functioning and brain physiology? Does the surge in portable, all-pervasive texting turn millions of us into people who are “not just dumber and lonelier but more depressed and anxious,” more susceptible to obsessive-compulsive disorder, with shrinking brains that can look like those of drug addicts? The July 16, 2012 issue of Newsweek magazine tackles issues like these in an article that is more serious and less sensationalist than the glitzy cover would suggest. The magazine does not conclude that the Internet can make us crazy but shows that research from around the world points in that direction. 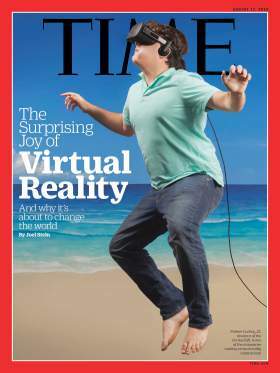 In some countries “Internet Addiction Disorder” is an accepted diagnosis especially relating to gaming, virtual reality and social media. 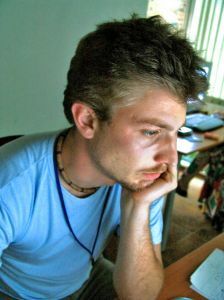 One American neurologist describes the computer as “electronic cocaine” fueling cycles of mania followed by depressive stretches. Admittedly, some people need to keep connected as a part of their jobs, but consider how many among us cannot even turn off their devices for a few hours. When we can’t control the Internet, then the Internet controls us. Amazon lists a number of recent books, some with disturbing titles like Digital Vertigo: How Today’s Online Social Revolution Is Dividing, Diminishing, and Disorienting Us or iDisorder: Understanding Our Obsession with Technology and Overcoming Its Hold on Us. I’ve read similar books and perused the Amazon descriptions and evaluations of others. Most appear to be research-oriented, written by professionals, and not especially sensationalist. Like the Newsweek article, there is recognition that the Internet, including social networking, has tremendous value but these writers express concern about the possible implications of continuous Internet use. There is growing evidence that this adversely impacts our brain structure, cognition, stress levels and relationships. Is this our latest god that we submit to and worship? Despite the brain scans and respected research is all of this an over-reaction to a new social trend? 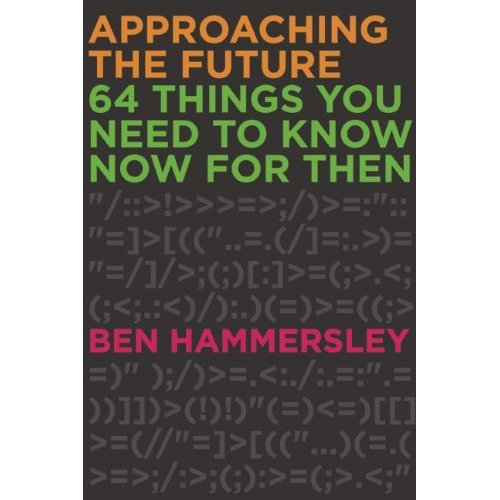 “Our world is not going to change, and technology will continue to penetrate society even deeper leaving us little chance to react” writes one critic. Left unanswered is the question of how we make maximum use of technology without letting it destroy us. What is your reaction? Please comment. About twenty years ago I recorded an introductory psychology course. For thirty hours I faced a camera and gave lectures—same teacher, same setting, same camera angle, different topics. Students later paid to watch the videos, took multiple-choice exams and accumulated credit hours toward their degrees. I tried to make this interesting but even I was bored with my lectures. This wasn’t a high point of my teaching career but it was something new and we did the best we could. Effectiveness depends on the subject matter. Online learning of facts can be good; online skill learning is much less effective unless there is also ongoing, face-to-face supervision and experience. Blended training (combining both online and face-to-face components) is not light-weight education. When done effectively this takes more faculty and student preparation and time than traditional learning. Researchers, educators, universities and training organizations are developing partnerships and guidelines to insure high effectiveness in distance learning. What are your observations or experiences with distance learning? Please comment.